Angel Locsin says she is just happy that designer Leinil Yu’s replied to her. 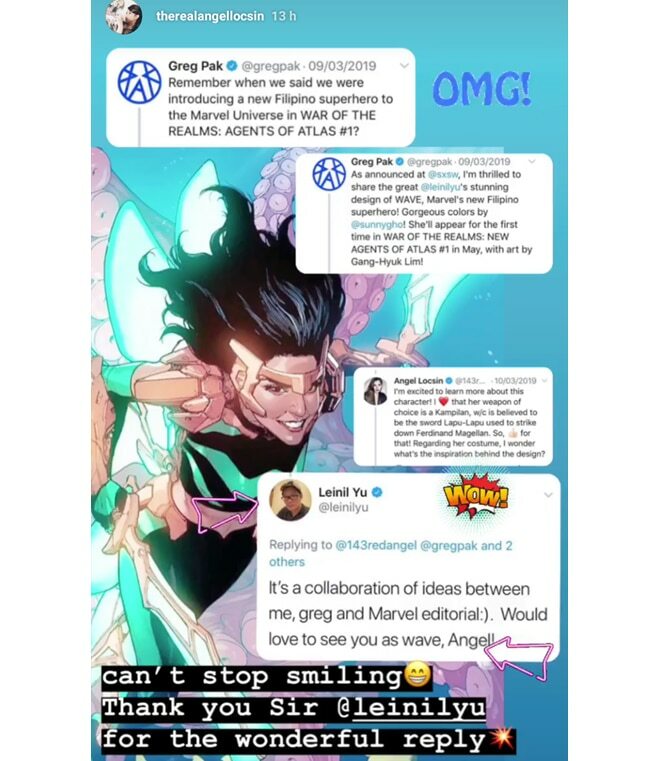 Marvel recently showed the image of Wave, a Filipino superhero, and the co-creator of the heroine thought that Angel Locsin would be best to portray the role. The actress was flattered with the reply that she even reposted the conversation on her Instagram story. “Can’t stop smiling. Thank you, Sir @leinilyu for the wonderful reply,” she wrote. 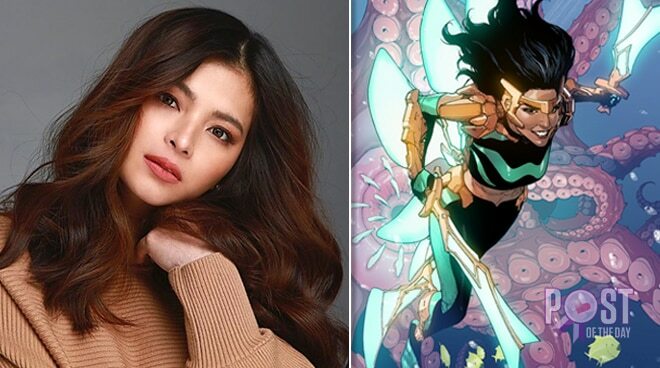 Angel is no stranger when it comes to portraying superhero roles since she was once cast as Darna. However, she had to back out in the new movie version of Darna because of health reasons.